What happens if the officer asks for a breath or urine test prior to the arrest? If the suspect is 21 years of age or older, then requesting a breath or urine test before the arrest is a clear violation of Florida’s implied consent law. The request itself, the refusal to submit, or the test results should be suppressed at trial because of the violation. Also, if the officer submits paperwork to the DMV to trigger an administrative suspension for either refusing the breath or urine test or having a BAC over .08 before the arrest, then driver should demand a formal review hearing to invalidate the administrative suspension within 10 days of the arrest. the administration of a breath or urine test is impractical or impossible. 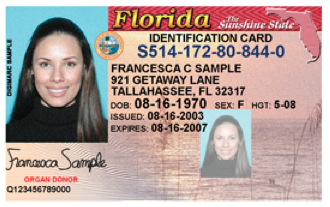 Any person who accepts the privilege…of operating a motor vehicle within this state is… deemed to have given his or her consent to submit to an approved …test of his or her breath…if the person is lawfully arrested for any offense allegedly committed while the person was driving or was in actual physical control of a motor vehicle while under the influence of alcoholic beverages. The person shall be told that his or her failure to submit to any lawful test of his or her breath will result in the suspension of the person’s privilege to operate a motor vehicle for a period of 1 year for a first refusal, or for a period of 18 months if the driving privilege of such person has been previously suspended as a result of a refusal to submit to such a test or tests, and shall also be told that if he or she refuses to submit to a lawful test of his or her breath and his or her driving privilege has been previously suspended for a prior refusal to submit to a lawful test of his or her breath, urine, or blood, he or she commits a misdemeanor in addition to any other penalties. The refusal to submit to a chemical or physical breath test upon the request of a law enforcement officer as provided in this section is admissible into evidence in any criminal proceeding. Thus, the plain language of the statute provides that a request for a breath or urine test can only be made after an arrest and not before. In State v. Serrago, 875 So. 2d 815, 819 (Fla. 2d DCA 2004), the defendant was charged in Pinellas County with numerous offenses arising out of a fatal traffic accident. One issue in the case was whether the trial court erred by not suppressing urine test results taken prior to an arrest. The appellate court determined that a pre-arrest urine test is not authorized by section 316.1932(1)(c) and therefore the urine test results were not admissible at trial since it was taken in violation of Florida’s implied consent law. “Our reading of section 316.1932(1)(c) leads us to conclude that it cannot reasonably be read to allow a urine test because it simply does not provide for same. Section 316.1932 contains two very distinct provisions that authorize the testing of blood, breath, and urine in order to detect the presence of alcohol or controlled substances. Section 316.1932(1)(a) allows for breath and urine testing but does so only pursuant to a lawful arrest. Section 316.1932(1)(c) authorizes blood draws but only under the following circumstances: (1) where there is reasonable cause to believe the person was driving a vehicle while under the influence of alcohol, chemicals, or controlled substances; (2) where the person appears for treatment at a medical facility; and (3) where the administration of a breath or urine test is impractical or impossible. The only reason that section 316.1932(1)(c) mentions breath or urine tests is to limit blood draws to those situations in which a breath or urine test, impliedly authorized pursuant to section 316.1932(1)(a), was impossible or impractical. It does not specifically authorize any breath or urine tests, nor is its language susceptible of an interpretation that impliedly authorizes breath or urine tests. Rather, section 316.1932 clearly distinguishes between breath and urine tests, which are authorized by section 316.1932(1)(a), from blood tests, which are authorized by section 316.1932(1)(c). We conclude, therefore, that the trial court erred in concluding that section 316.1932(1)(c) impliedly authorized the urine test performed here. This analysis is supported by case law, which has historically treated blood tests differently than breath and urine tests. In State v. Williams, 417 So.2d 755 (Fla. 5th DCA 1982), the Fifth District, in considering a breath test that was taken from an individual who was not under arrest, found that the legislative intent to treat blood tests differently from breath and urine tests was revealed in the legislature’s failure to change the law as it relates to breath and urine when it changed the law regarding blood tests. Id. at 758. The court also reasoned that since Barrett, the legislature had not substantially amended the statute, indicating its intent that pre-arrest breath tests should remain inadmissible. Given our interpretation of section 316.1932, which clearly places breath and urine tests in a category that is separate from blood tests, we conclude that the trial court erred when it found the urine test to be admissible because section 316.1932(1)(a) clearly requires that urine tests must be conducted pursuant to a lawful arrest. Since the defendant was not under arrest at the time that the urine test was taken, the urine test here was not admissible. Suppression or exclusion of the evidence is required because in order for the refusal to be admissible in the civil or criminal case, the DUI officer must show that he complied with Florida’s Implied Consent Statute, Section 316.1932(1)(a)1.a. The remedy for failing to comply with the Implied Consent Warning is exclusion or suppress of any evidence of the alleged refusal to submit. Id. Therefore, for any case in which the suspect is asked for, submits to, or refuses a breath test prior to an arrest, that evidence should be suppressed at trial. The attorneys at the Sammis Law Firm, P.A., in Tampa, FL, are experienced in fighting DUI cases throughout Hillsborough County, and the surrounding areas of Tampa Bay, including cases that involve a pre-arrest request for a urine test or breath test. This entry was written by lsammis, posted on May 19, 2016 at 20:48, filed under Tampa DUI Attorney. Bookmark the permalink. Follow any comments here with the RSS feed for this post. Post a comment or leave a trackback: Trackback URL.